Jazz is one of those music genres that makes my heart sing. And here in Lisbon, while there is no shortage of places where one can listen to it live, there is no other place where jazz is lived and breathed like in Hot Clube. Hot Clube is one of the oldest jazz clubs in Europe, and it’s considered as one of the top 100 in the world. A fire destroyed its first home, in a basement in Praça da Alegria. Two years after the tragic occasion, and after the rare occurrence of Lisboners getting together in a popular petition demanding that the Hot Clube shouldn’t move from the place where it was born, it found a new home by moving to the number 48 in the same Praça da Alegria. An ironic move, since 1948 was exactly the year when the club opened doors for the first time! 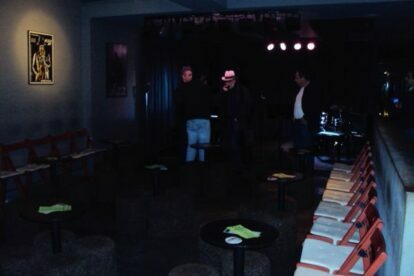 Parallel with the club activity, Hot Clube runs a jazz school that has been responsible for the musical upbringing of generations of jazz players. The last Wednesday of each month is reserved for a concert by the Hot Clube Orchestra. While tapping your fingers to the rhythm, be sure to try out a drink or a light snack from the small and renewed bar. I personally recommend a whisky or ice cold beer while enjoying a jam session: it’s comfort for the soul! Given its history and the quality of the musicians, it is most definitely worth a visit if you’re into jazz.